Hi everyone!!! 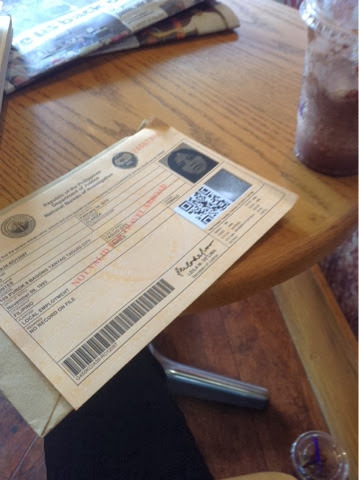 I am her in The Coffee Bean Robinson’s Manila sipping some Double Chocolate Ice Blended and maximizing the free wi-fi with my Swirl Rewards Card. It’s Tuesday and i am done processing my NBI. Guess how many hours i spent for the application and releasing??? Yes, yes, yes. I am so happy that i got my NBI faster than the usual and in this blog post i will share to you how i did it. STEP 1. Have an Online Application. You can easily go with NBI’s main website and clicked the application option and answer the online form. Make sure to print this form too. STEP 2. Go to Robinson’s Otis Pinoy Lingkod Center. 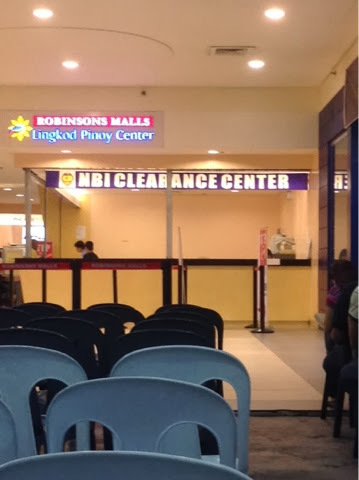 Of all the official places where you can get your NBI clearance i mainly believe that the Pinoy Lingkod Center in Robinson’s Otis is the fastest and easiest way. I went at 9:30am with my printed form from online and ID and there is a separate line for Online and Manual. The thing that I like about Otis is that it is very organized. The transaction went super fast too though of course there is a line. The line for Manual is 10 times more than the online so i highly suggest to have your application online. Also, you are one step advance when you applied online because there is no reason for you to be encoded, you just have to pay the required amount. STEP 3. Patiently comply with the process. The seats on Online and Manual is separated. Online applicants went faster than the Manual since we are fewer. Step 1 is to pay the amount of 115pesos for local employment. For the complete list of payments please referr to the website of NBI. After paying, you will be given a receipt. This as well as your online form will be presented to the Step 2 which is the biometrics and photo capturing. Pray that you won’t have a hit because you will be invited to come after 2weeks to process the inconvenience. After you had your picture taken and finger prints you are now in the waiting area for releasing. Wait for your name to be called and pay additional 5pesos as you get your NBI clearance. And that’s it. 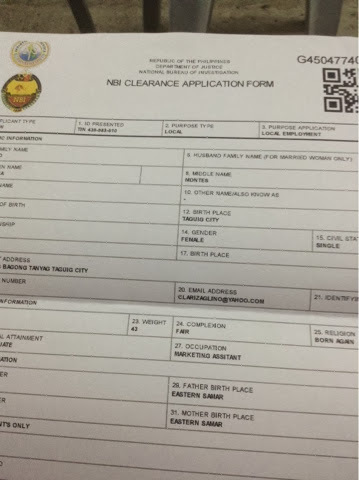 You now have your NBI clearance that you can use for requirements. I was done with the steps in 11:30am and i was really delighted by how fast everything went. My main tip is to really apply online and have your form printed. If you go manual and not come in the NBI center of your choice then no doubt that you will spend the whole day waiting in line. Come early. I believe i just got lucky that i went with a few in line on the online side. Come before 9am so you will be first in line. Go to Robinson’s Otis. It is top of my choice because it is truly a fast transaction there. While waiting for the release of your NBI Clearance you can also process your SSS or Philhealth needs because these are the other two government express centers in the Robinson’s Pinoy Lingkod Center. Be patient and respect the process. HOW TO GO TO ROBINSON’s OTIS? Go to LRT Line 1 near you and get off at UN Avenue station. Find the tricycle/pedical terminal bound to Robinson’s Otis. Landmark for the terminal is the side where Mcdonald’s is located. Fare is 10pesos. You know that you are near Robinson’s Otis once you pass by Unilever.